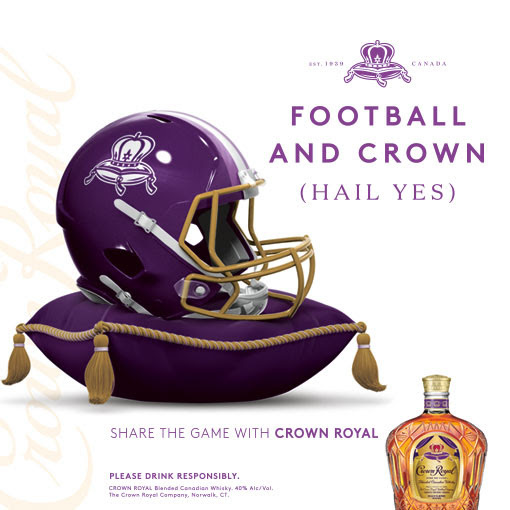 Share these Crown Royal® recipes with your football friends. The unmistakable smoothness of Crown Royal® makes it the perfect whiskey for any cocktail. Strain over fresh ice in Collins glass. Top off with ginger ale and garnish with slice of cucumber. Bill’s Package store in Clarksville, TN near Ft. Campbell, Ky has all your spirit needs for football season and ANY season.